DIY Projects | MJB Coffee | Why MJB? Subscribe to save 15% on your next purchase! 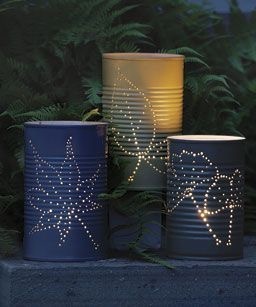 Punch holes into an MJB can using a hammer and a nail, string wire through the top and put a votive candle in the bottom. Voilà – you’re all set for dinner under the stars. Untangle that mess and keep your crafting supplies in good order. 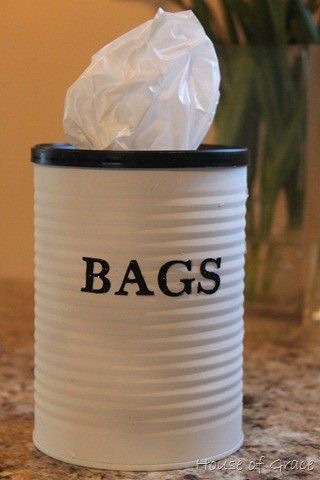 Paint the cans for a uniform look or cover them with contact paper. 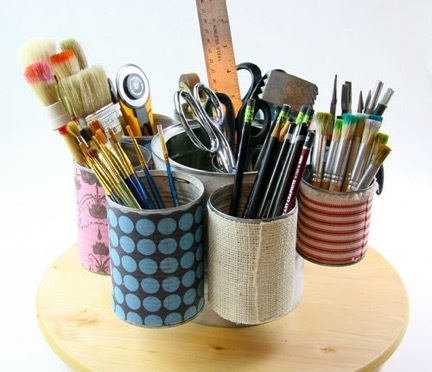 MJB cans are the perfect size for sorting desk items likes pens, scissors, rulers or paint brushes. Take one larger coffee can as the base and attach five smaller cans to it. 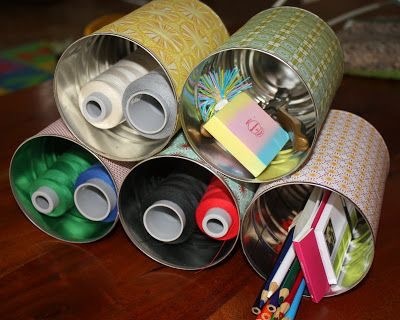 Decorate the cans to fit your office decor. Remove the bottom of your MJB can, and cut the plastic lid in half, placing each half-lid at either end. 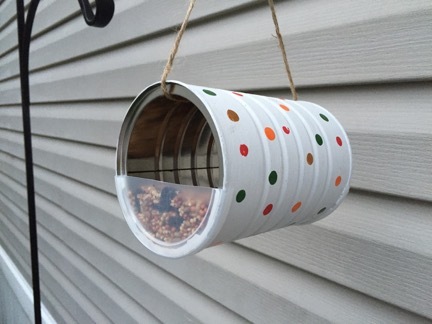 Fill it with birdseed, and hang it up outside. Your feathered friends will thank you. Where’s a plastic bag when you need one? Right here, in an MJB Coffee Can. Just cut a hole in the plastic lid for easy dispensing. Looking for a unique gift for a cook? Grab a few MJB Coffee cans and start by drilling holes in the bottom. Fill with dirt and plant some herbs. You can use chalkboard paint to identify what each can is.